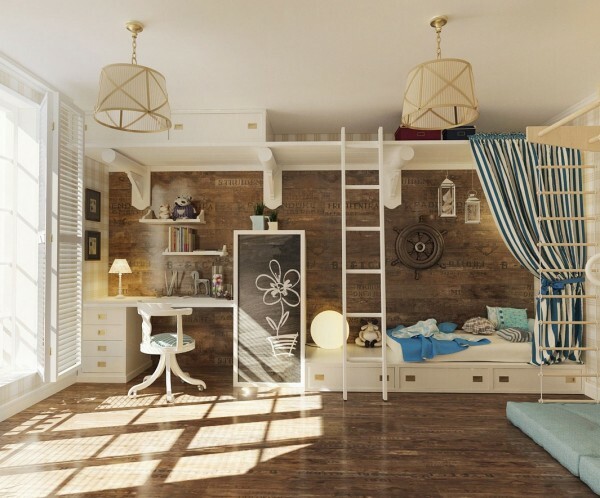 There's no room in the home that puts built-ins to better use than a child's bedroom. From study desks to closets to covered storage, you'll find built-ins solve the messy clutter dilemma associated with many kids spaces. 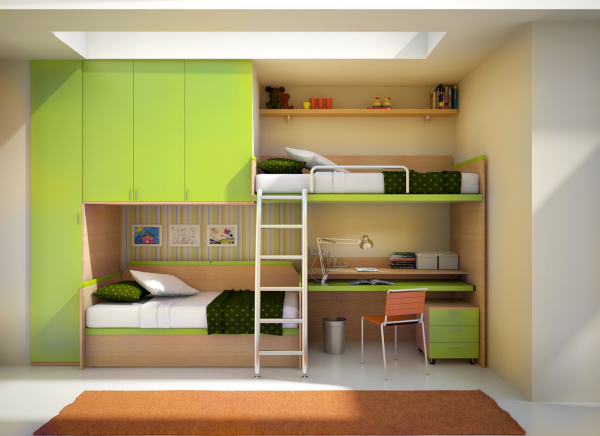 Take a look at twelve brilliant built-in configurations and solutions for both boy and girl rooms. This built-in is filled with functionality and purpose. It features a long desk with drawers, closet and turning the corner a connected bench. A girl’s bedroom gives off a nautical feel with a weathered wood like wallcovering, built-in galley like beds, and a vintage ship’s wheel. 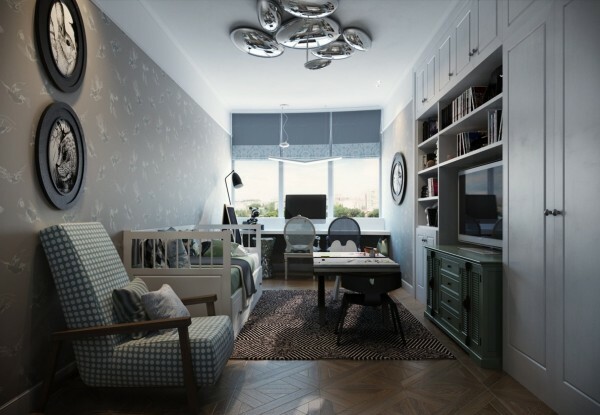 Built-in storage and shelving are perfect for keeping clutter at bay in children’s rooms. This art and homework space features this element to a nice advantage. This twin bedroom would certainly be happy to wake to each morning with its lemony yellow walls, fun prints and child like exuberance. Built-in shelves above the bed keep favorite items close at hand. Ultra modern. 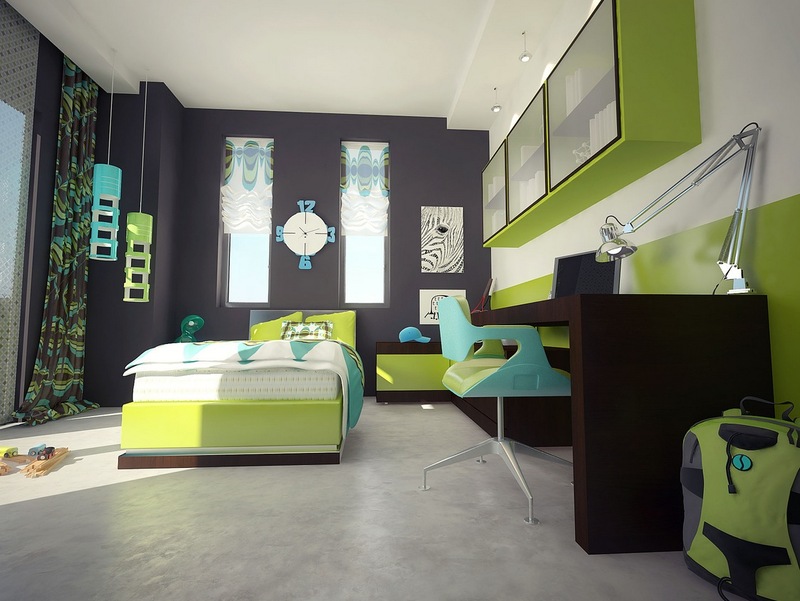 this teen girl’s bedroom is awash in blue and pops of brilliant color. 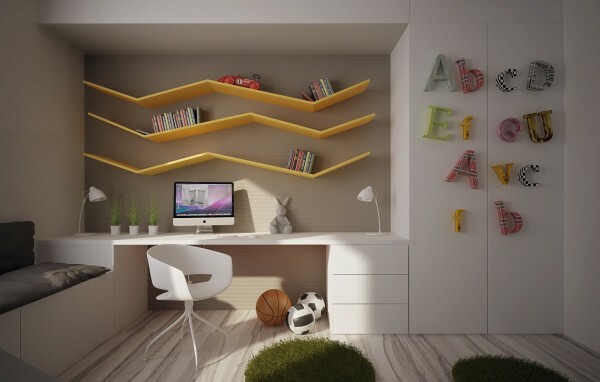 A built in closet and desk provide plenty of storage and an area for homework. What teen boy would dig this hip modern space? A large richly finished desk spans the wall giving plenty of space for playing video games and getting homework done. Glass door cabinets above provide storage space for books and trophies. This attic getaway would make the perfect haven for any girl with a plethora of cabinets and shelves for beloved books, nick knacks and framed photos. The ceilings soar giving way to a wide open space for relaxation and play. The Eames armchair serves as the kid’s chair here. 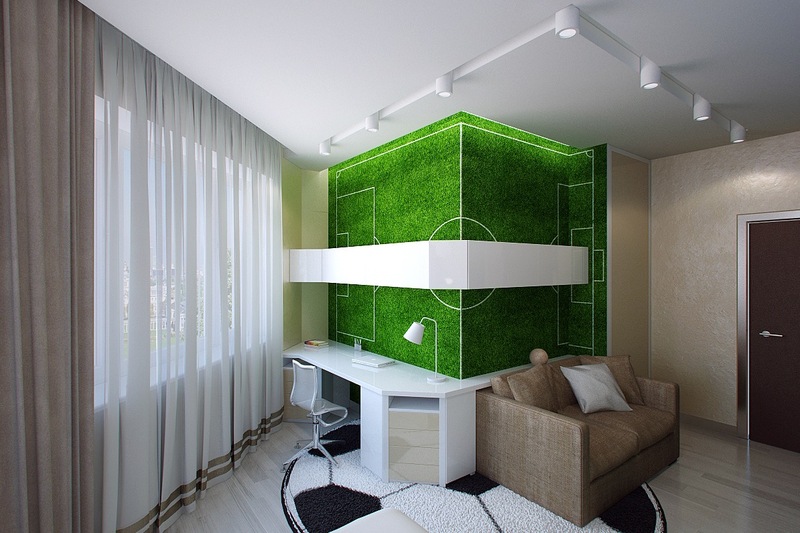 Stripes are always a classic choice for boy’s bedrooms, but this one has a modern twist. The built-ins fill the space with plenty of work surfaces, storage and display. This odd shaped built-in provides study and work area on one side and lounge area of the other. This hip urban youth bedroom boasts built-ins on opposite walls accommodating siblings or friends. The wall cubbies alternate between doored and open designs adding a color blocked appearance. The ultimate built-in for any kids room, this wall unit features off set bunk beds, storage and closet space and work desk. This traditional child’s space has a built-in unit running the length of it. It holds a media center, closet, enclosed storage and display shelves. A built-in desk runs the length of the back wall with a large window above.